The F&D T-180X Soundbar audio system is a blend of sleek design, great sound technology and intuitive controls that compliments the rest of your entertainment center. It supports all smart devices with Bluetooth and connects seamlessly to output flawless audio. Featuring full range audio drivers and a silk tweeter all contained within its slim build, the sound bar outputs high definition 3D surround sound for a great sound experience. Now available on Snapdeal, it can be all yours in a few simple steps. The F&D T-180X Sound Bar connects seamlessly to all Bluetooth enables smart devices such as Smartphones, Tablets and SmartTv of all sizes via Bluetooth 4.0. 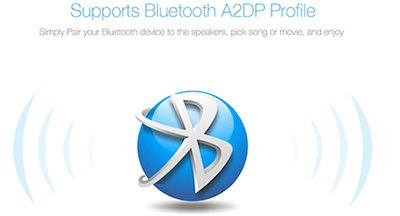 Using the Advanced Audio Distribution Profile (A2DP) it links to all A2DP enabled devices to transmit high quality stereo audio. Its CSR Bleutooth 4.0 Solution approved by SIG gives the sound bar an exceptional range of 10 meters from its paired device to transmit audio. Unlike the conventional audio devices that have woofers and tweeter drivers with limited frequency ranges for sound output, this sound bar features full range speakers that can reproduce sound frequencies of all audible ranges. Their diameter full range drivers have response frequencies from 20Hz to 20,000Hz. Combined with a tweeter, they output a full dynamic sound range from the sound bar at an output power of 40 watts RMS. Playing your favorite music is as simple as plug and play on the F&D T-180X Sound Bar. 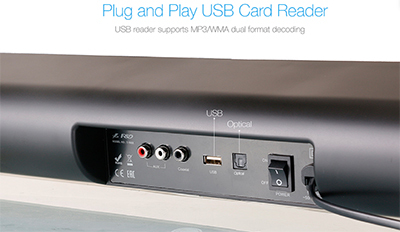 The USB reader on the device recognizes and supports audio formats such as Mp3 and WMA so can play a range of audio files. 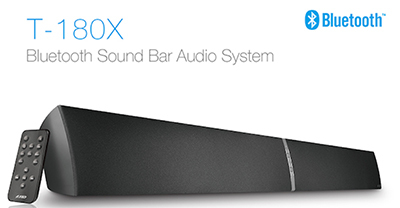 The sound bar along with featuring AUX input port also features Coaxial and optical digital ports as well. With these varied input ports you can easily connect the sound bar to all of your older devices to play the audio. 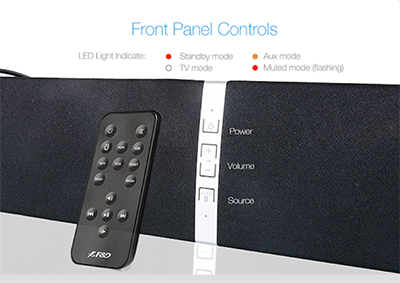 Front panel controls enable you to operate the sound bar along with a fully functional remote control. The panel featuring LED displays indicate the various modes that the sound bar is operating under at the moment. 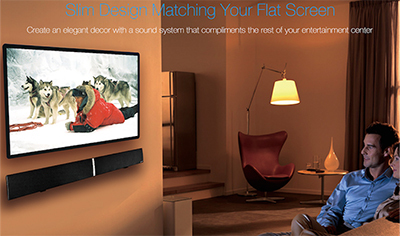 The F&D T-180X Sound Bar gives you a full theatre experience with its 3D surround sound. 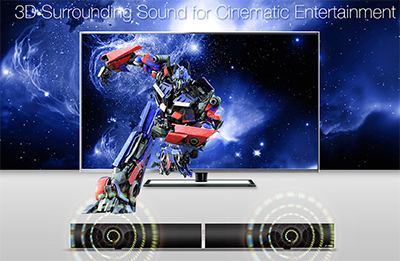 Enjoy watching your favorite movies and not miss out on the full range of sound effects in your personal home theatre.